Major John A. Street, the son of Mr. and Mrs. J. W. Street of Ripley, Mississippi, was born in Tippah County, Mississippi, July 3, 1891. Educated in the public schools of Ripley, Clarke Memorial College at Newton, Mississippi, and Marion (Ala.) Military Institute. In 1910 he was appointed a cadet to the U. S. Military Academy by Tho. Spight, at that time Congressman from the Second District of Mississippi, and entered the Academy in June, 1911, having previously taken his examinations at Jefferson Barracks, St. Louis. He graduated from the Military Academy in June, 1916, as Second Lieutenant and promoted to First Lieutenant in August of the same year and assigned to duty with the 9th Infantry on the Mexican border, which he joined in September. He was married on the 23rd day of July, 1917, to Miss Olive, the daughter of Col. Alonzo Gray, who at that time commanded the 6th U. S. Cavalry, now in command of Fort Sam Houston, Texas. He was promoted to Captain in the same regiment in July, 1917, and on September the 5th of that year sailed with his regiment for France, landing there on the 22nd of the same month. 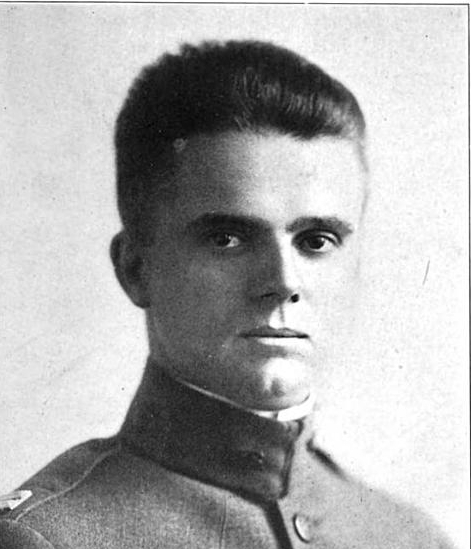 He graduated from the General Staff College in February, 1918, while in France, and in June of that year was promoted to Major and assigned to duty with the 163rd U. S. Infantry. In September, 1918, he was transferred to the 128th U. S. Infantry as Major of the First Battalion, then on the battle front, and was killed by a shell on the 4th of October, 1918, near Epionville, Department of the Meuse. Major Street in early life joined the Baptist church of Ripley and remained a member until his death. He was well known throughout his native state and leaves a number of relatives, including his parents and widow, who, while deeply grieved over the great loss they have sustained are justly proud of his achievements during his brief career and his devotion to duty, because he could, had he so desired, have returned to his country for duty on this side, the opportunity to do so having been offered him a number of times while in service abroad. Both his superior and inferior officers and men testify to their affection for him. He was, so far as has been reported, the highest ranking officer from his native State to be killed in battle during the war. This entry was written by forwhattheygave, posted on October 13, 2012 at 1:59 pm, filed under Killed in Action and tagged 1916, Killed in Action. Bookmark the permalink. Follow any comments here with the RSS feed for this post. Trackbacks are closed, but you can post a comment.